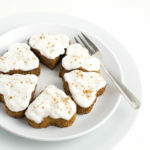 Pumpkin almond muffins with cinnamon frosting - paleo & vegan - NOURISH TO PERFORM. 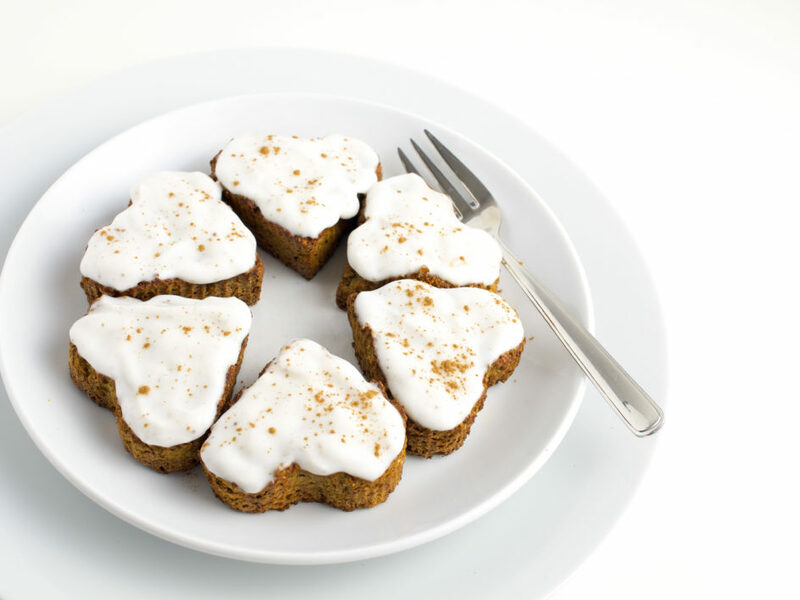 The second recipe you can find in my sweet snacks pumpkin edition video is a vegan and paleo muffin recipe. These muffins are really moist and the combination of pumpkin with sweet spices and almonds makes them the perfect Sunday afternoon tea time treat. They are also great to have for breakfast. Packed with healthy fats, good carbs and a fair amount of protein they are a great snack for in between, after or before your workout or even as late night snack. I dare you to try those delicious muffins – and if you love pumpkin, definitely give my pumpkin cinnamon cups a go! Mix all ingredients for the dough and fill it into muffin tins. Add as much liquid as you need./Alle Zutaten für den Teig vermengen und in Muffinförmchen füllen. So viel Flüssigkeit verwenden wie notwendig. Bake for about 25 minutes./Für etwa 25 Minuten backen. Mix all ingredients for the frosting and spread on muffins after they have cooled down./Alle Zutaten für das Frosting vermischen und auf den Muffins verteilen, nachdem diese komplett ausgekühlt sind.